The Conspiracy is the blanket term most commonly used by proponents of Zeteticism to refer to the active faking of space travel. 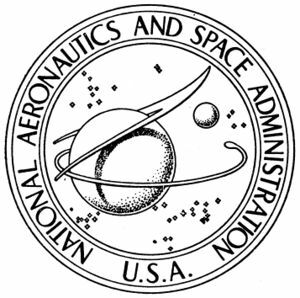 It is most often associated with the National Aeronautics and Space Administration (NASA), its constituents and fellow so-called "space agencies" as well as those who are informed by them (including government). Though unknown exactly where or when the concept originated, earliest references have been attributed to the Flat Earth Society under the leadership of Samuel Shenton. There is no Flat Earth Conspiracy. NASA is not hiding the shape of the earth from anyone. The purpose of NASA is not to 'hide the shape of the earth' or 'trick people into thinking it's round' or anything of the sort. There is a Space Travel Conspiracy. The purpose of NASA is to fake the concept of space travel to further America's militaristic dominance of space. That was the purpose of NASA's creation from the very start: To put ICBMs and other weapons into space (or at least appear to). The motto "Scientific exploration of new frontiers for all mankind" was nothing more than a front. Control of space means control of the world. From space, the masters of infinity would have the power to control the earth's weather, to cause drought and flood, to change the tides and raise the levels of the sea, to divert the gulf stream and change temperate climates to frigid. There is something more important than the ultimate weapon. And that's the ultimate position. The position of total control over the Earth that lies somewhere in outer space. One month later, Lyndon Johnson and the Senate Special Committee on Space and Astronautics drafted a resolution to change the name of the US Army's Ballistic Missile Arsenal to the National Aeronautics and Space Administration. NASA's early rocket research is well documented to have been a complete failure, plagued by one disaster after another. At some point, perhaps after the Apollo 1 disaster, it was decided to fake the space program outright and use rockets which only needed to fly into the air until they disappeared from sight. NASA went from nearly every launch being a failure to a near flawless track record, able to land man on the moon multiple times without error, and with only two public spectacles of failure in 45 years. The earth is portrayed as round in NASA media because NASA thinks it's round. They are not running a real space program, so they wouldn't know what shape the earth truly takes. At the time of NASA's creation the general population already believed that the earth was round, based on the handed down teachings of the Ancient Greeks, which is why it was depicted in that manner. As with everyone else in the country, the people at NASA were taught the fiction of a globe earth from the cradle, so there was no doubt in their mind as how to display it. This page was last modified on 27 January 2019, at 08:36.